Sara is a Preceptor within the Language and Literature faculty. She has also served as interim Department Chair and Elected Faculty Member on the Board. Sara Brown has been a High School teacher for twenty-five years and currently works full time in Rydal Penrhos School in North Wales, where she teaches English to ungrateful teenagers. She is the co-ordinator there for the International Baccalaureate English Language & Literature and Theory of Knowledge courses. Sara also acts as Teaching and Learning mentor in school, promoting and guiding the advancement of skills and continuing professional development in each of the teaching faculties. In addition to her teaching duties, she and her husband run one of the school boarding houses, which holds up to twenty-two teenage boys. Sleep is definitely for the weak. 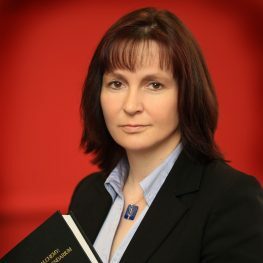 Besides her BA (Hons) in English and History, Sara has a Masters degree in International History from the London School of Economics, for which she wrote a thesis on The Problem of the Gold Standard in International Politics and Economics in the Nineteenth Century. She completed her Ph.D. in Literature at Salford University in 2013. Entitled From Abjection to Alchemy in J.R.R. Tolkien’s Middle-earth Legendarium, the thesis explores the way in which Tolkien was responding to the anxieties of the post-war world in the mid twentieth century, drawing on (amongst others) the theories of Julia Kristeva and Donna Haraway. She believes it’s a real page-turner. Sara has given a number of lectures at various conferences on the topics of Tolkien, fantasy fiction, and fandom, the latter being one of her guilty pleasures. Sara has been a Lecturer and Preceptor within the Language and Literature faculty since 2012. She served as interim Department Chair for the Fall 2018 semester and has served as the Elected Faculty Member on the Board in the past.Her PhD thesis, entitled From Abjection to Alchemy in J.R.R. Tolkien’s Middle-earth Legendarium, explores the way in which Tolkien was responding to the anxieties of the post-war world in the mid twentieth century.